This is a 1923 ad for a Jell-o w/ art by L. Ball! The size of the ad is approximately 10.5x14inches. 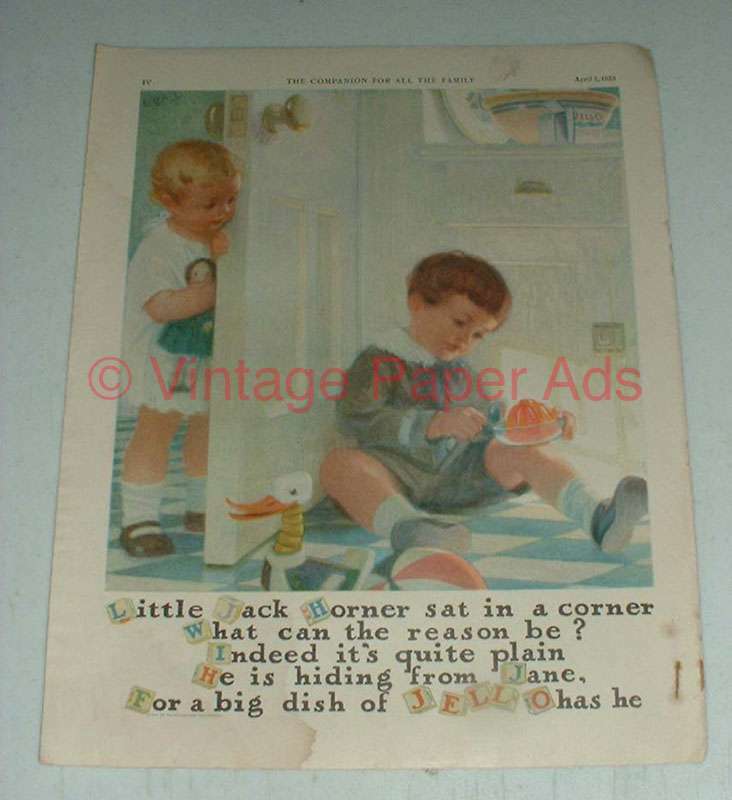 The caption for this ad is 'Little Jack Horner sat in a corner what can the reason be?' The ad is in fair condition, with some significant staining, other wear. This vintage ad would look great framed and displayed! Add it to your collection today! 1956 Jell-o Apple Flavor Ad - New Flavor!